*6th EV Expo East 2018 Start from May 11, 2018 in Kolkata* *The EV EXPO EAST 2018 would be held at Science City, Kolkata during 11-13th May, 2018. The 3 day event shall showcase the latest and technologically advanced, pollution free 2, 3 & 4 wheeled e-vehicles like E-Rickshaws, E-Carts, E-bikes, E-scooters, E-bicycles as well as E-loaders from over 30 national and international companies. It is supported by Ministry of Road Transport & Highways, Govt. of India and is being organized in association with ICAT (International Centre for Automotive Technology) & ERMA (E-rickshaw Manufacturers Association)* *Okinawa Autotech Pvt. 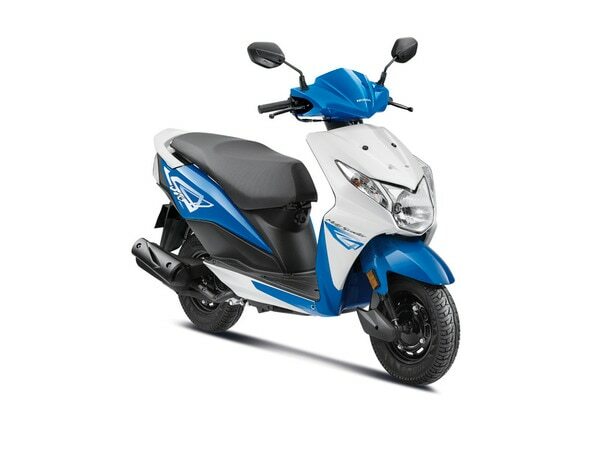 Ltd* would be presenting their latest range of electric-scooters and accessories. Through this Expo, they are also going to launch '#istand' campaign in Eastern India, which is aimed at raising awareness about environment friendly electric-vehicles. *Other EV manufacturers like Pubang Etron Electric Motor Pvt. 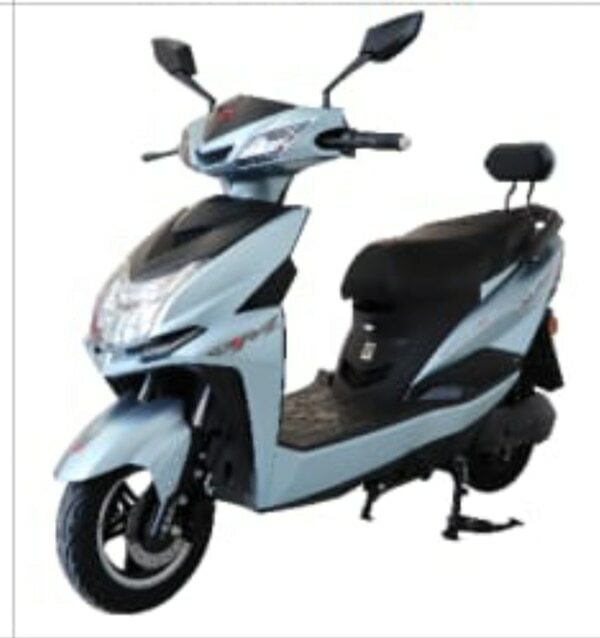 Ltd. and Terra Motors India Pvt Ltd, are going to showcase their latest range of 2 & 3 wheeled e-vehicles at the expo. "As Electric Vehicles is relatively a new and rapidly growing segment, there is huge scope for business and investment right from Production, Stocking & distribution, R& D & Services. We encourage people to visit EV Expo East 2018 and see for themselves the rapid progress in Electric Vehicles and technology "- said Mr Anuj Sharma, Chairman E-rickshaw Committee, Ministry of Road Transport and Highways , Govt. of India. * *Mr.Rajiv Arora, Organizer, EV EXPO EAST 2018 said ''After the success of the previous 5 editions of EV Expo that is organised alternately between Delhi & Kolkata, we are happy to bring the 6th EV EXPO East 2018 to Kolkata this year. This Expo takes forward the Vision of Govt. of India to make India a 100% Electric Vehicle Nation by 2030. Looking at the severe air-pollution situation faced by metros like Kolkata and many other big and small cities across India, there is an urgent need to create an awareness and availability of electric-vehicles for greater adoption of this non-polluting means of personal and public transport. From 1st edition onwards, we are witnessing manufacturers and service providers increasing the range and variety of e-vehicles and accessories that they are bringing to showcase at EV EXPOs organised by us. *State to levy MV tax on e-vehicles* *It may either be quarterly or life-time, says Transport Minister* *The State government has decided to collect Motor Vehicle tax on e-rickshaw and e-cart vehicles. 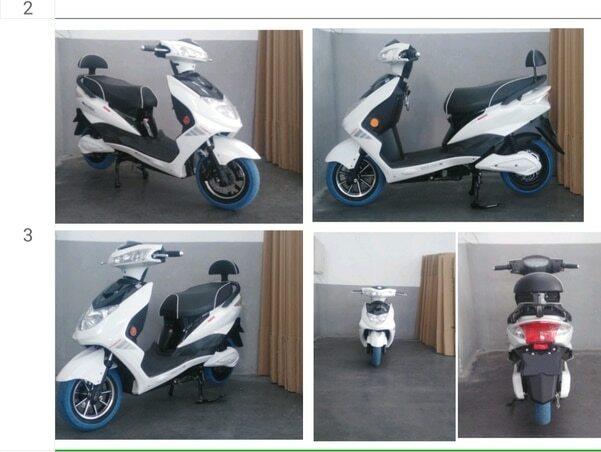 * The government proposes to levy either quarterly or life-time tax on these vehicles. An Ordinance had been promulgated in this regard in June as the Assembly was not in session then. The government placed it before the Assembly on Thursday to make suitable amendments to the A.P. Motor Vehicles Taxation Act, 1963. Transport Minister K. Atchannaidu, in a statement made in the House, said that e-rickshaw and e-cart vehicles had come into existence in 2015. There was a provision to levy tax under Section 3 of the A.P. Motor Vehicles Taxation Act, 1963. 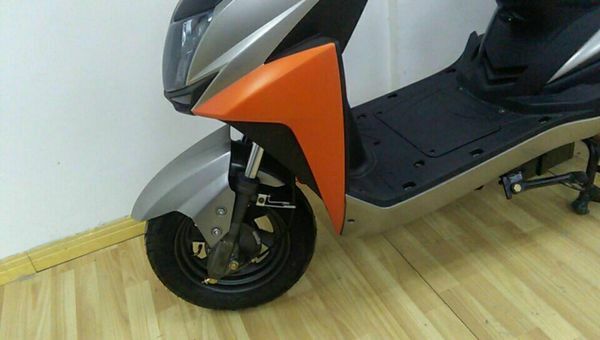 The government had given an exemption to the battery-operated vehicles for a period of five years from the date of registration. As no tax was being levied on these vehicles, the government decided to levy a one- time tax, either a life-time tax or quarterly tax, he said. For auto-rickshaws, the quarterly tax would be ₹105 per vehicle with a seating capacity of four in all. Tax compliance was very low as many of the owners fall under the low-income group. Hence, the neighbouring States switched to the life-time tax. It was proposed that a lump sum / life-time tax might be fixed at 2% of cost of vehicle in respect of new vehicles and 1 to 1.5% for old vehicles, based on their age. For light goods vehicles of up to a laden weight of 3, 000 kg, a quarterly tax of ₹750 on average was proposed. A lump sum tax at 7% of the cost of vehicle was proposed. In respect of light goods vehicles in use, tax was proposed to be fixed between 1% and 6.5%, the Minister said. Electric Vehicles: ecosystem opportunities and challenges for manufacturers, policymakers and startups A growing number of manufacturers, consumers, government agencies, investors and urban developers believe that the electric vehicles (EVs) can have better outcomes for the industry and environment. Cleaner, safer and simpler electric vehicles now span categories ranging from two-wheelers and rickshaws to cars and mining vehicles, as well as fleets of buses and vans. The ‘glue’ connecting the mix includes startups in IoT (Internet of Things) and solar energy as well as mobile operators and blockchain players. It will not be individual corporate players who win the game, but whole ecosystems of partners and competitors coming together to define standards and roll out electric charging infrastructure. To be fair, EVs should not be seen as a magic wand or silver bullet solution for existing problems of global warming or pollution; they have their own sets of inherent problems too, as this article will explore. Large manufacturers Automobile giant Volkswagen has announced an investment of $24 billion to set up an all-electric line-up of cars, including infrastructure, by 2030. “We have to listen to the voice of reason, ” according to Mathias Mueller, Chairman of the Volkswagen Group. “This is not the future anymore, it is reality, ” he adds. This is a significant announcement coming from the group, which comprises Porsche, Lamborghini, Bugatti, Audi, Seat, and Skoda. Together, the group sells 10 million vehicles per year and is the largest car manufacturer in the world. In terms of market share, the company aims to sell over one in four electric vehicles by 2025, and an all-electric fleet by 2030. China is the world's largest market for electric vehicles, and manufacturers such as Toyota Motors have announced plans to produce electric vehicles in China; Nissan is reportedly preparing to release built-in-China electric vehicles this year itself. US company Tesla sold more than 10, 000 electric cars in China in 2017, according to industry estimates. China's largest electric carmaker BYD reportedly sold 113, 669 new energy vehicles in 2017. Automaker Volvo has announced that electric vehicles will account for 50 percent of all its sales by 2025. It plans to offer a hybrid variant of all its vehicles from 2019. 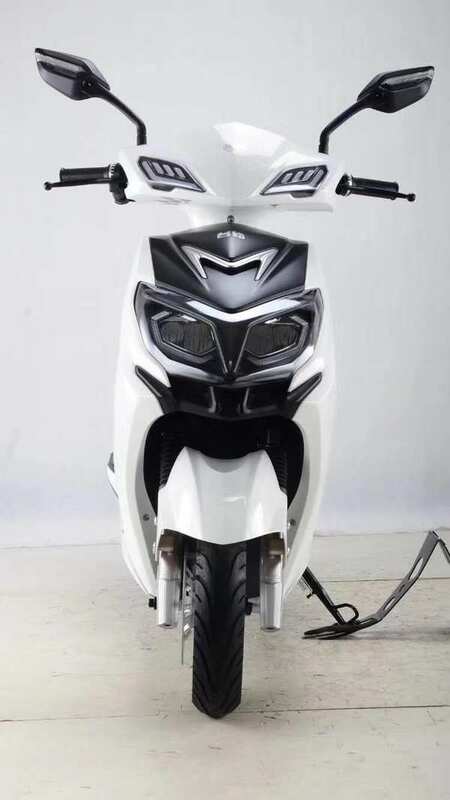 Electric two-wheelers are being enhanced by the likes of Honda and Yamaha, as well as Mission R, Lightning LS-218, and Lito Sora. Indian players in this space include Ather Energy and Tork Motorcycles. 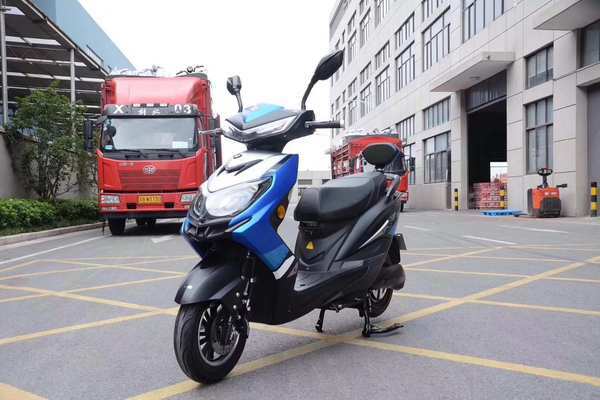 Electric trucks are being developed by Workhorse, E-Force, Daimler, and BYD. Indian mobile phone company Micromax is also said to be in the electric battery game for the EV market. Infrastructure From housing blocks to parking areas, it is clear that electric charging facilities will need to be widely available for this sector to take off. A network of charging stations is needed to make EVs viable; this includes hybrid combinations of on-grid and off-grid energy sources such as solar chargers. Ambitious industry targets include EV infrastructure every 150 km in America and Europe. Charging stations for EVs can also be solar-powered. For example, the Great Plains Institute in Minnesota has received a grant from the National Renewable Energy Laboratory’s Solar Energy Innovation Network. The plan is to create a roadmap for solar-plus-EV technology. Interestingly, the Indian Railways is planning on allocating space for electric vehicle charging stations at the parking lots of Delhi train stations to promote the use of green energy. Facilities to be provided include AC and DC chargers. Singapore launched its first electric vehicle sharing service in December 2017 with 80 cars and 30 charging stations. Their target is to have 1, 000 EVs, 500 charging locations, and 2, 000 charging points by 2020. The world’s largest electric car sharing service is reportedly Autolib in Paris; its subsidiary BlueSG runs the service in Singapore. Taxi and car-sharing companies Cities in countries like India face acute problems of energy insecurity and pollution, and industry-government alliances will play a key role in this regard. Low-interest funding of electric bus fleets for public transportation are some suggested measures. High-profile partnerships have been formed between taxi and car-sharing platforms and EV manufacturers. For example, Ola’s Mission: Electric initiative aims to put over one million electric vehicles on the road by 2021. It also partnered with Mahindra & Mahindra to build an electric mass mobility ecosystem in Nagpur. The target for 2018-2019 is to place over 10, 000 e-rickshaws and electric auto-rickshaws on the road. Other players to watch are Lithium Cabs, Zoomcar and SmartE in the e-rickshaw space. The Centre of Civil Society reports that around 29, 000 e-rickshaws were registered in New Delhi in the 2013-2017 period. Mahindra and Mahindra also has a tie-up with Uber to deploy EVs across several Indian cities. Initial target cities include New Delhi and Hyderabad. The arrangement includes competitive prices, attractive financing and insurance premiums, and comprehensive maintenance packages. Mahindra Electric and Zoomcar have partnered in an agreement for 100 e2oPlus electric cars to be offered on the Zoomcar platform in Delhi for self-drive rentals. The initiative has already been launched in Mysuru, Hyderabad, and Jaipur. Mahindra Electric’s portfolio also includes the eVerito sedan and the eSupro mini-van and panel vans. Software AI and ML will play a key role in manually driven cars and especially in driverless cars. Much of this will be coupled with IoT and smartphone interfaces and controllers. “Data sharing between devices, including cars, will become a reality, and securing the information becomes paramount, ” according to Mahesh Lingareddy, Chairman of Smartron, an IoT company. The “car OS” (operating system) will need to be developed with deep and wide industry alignment. Cars will be like tablets on wheels, jokes Christian Senger, head of e-mobility at Volkswagen AG. The level of control exerted by automation is graded in progressive levels, wherein Level 5 autonomy means the vehicle will take all decisions for the commuter. SAE International's On-Road Automated Vehicle Standards Committee has come up with five levels of automation in vehicle navigation. These include driver assistance, partial automation, conditional automation, high automation and full automation. Multimodal transport solutions are the need of the hour for urbanising India. Cloud-based solutions for such software platforms are being rolled out by Smatron, Kruzr, LightMetrics and Raksha SafeDrive. Policy interventions Some countries have set strict emission targets which will help spur the shift to electric. For example, in Europe, manufacturers must bring down vehicle emissions to 95 grams per km per vehicle by 2020. Sweden plans to have a fossil fuel-free transportation system by 2030. Canada has announced regulatory changes to make it easier for condominium owners to get approval from their condo corporations to install an electric vehicle charging system. Ontario’s Electric Vehicle Charging Incentive Program has provided incentives for the installation of thousands of home charging stations. There are an estimated 18, 000 electric vehicles on Ontario’s roads. “The transportation sector contributes the most greenhouse gas pollution in the province, so actions that encourage the use of low-carbon vehicles help move us towards a healthier, cleaner future, ” says Chris Ballard, Minister of Government and Consumer Services. Governments need to have clarity in their pronouncements on electric vehicle adoption. For example, in 2017 the Indian Ministry of State for Power and Renewable Energy set 2030 as the phasing-out date for fossil fuel vehicles, but later withdrew the target date. Electric vehicles will not only help reduce carbon dioxide emissions, but also reduce dependence upon oil imports, which raises all kinds of political risk in a volatile world. Other initiatives include Faster Adoption and Manufacturing of (Hybrid & ) Electric Vehicles (FAME), part of the National Electric Mobility Mission (NEMM) to promote fuel-efficient cars. Such schemes will be particularly important for fast-growing or large cities. Incentives will also be needed at industry and consumer level to spur the switch to electric vehicles. The Committee for Standardisation of the Protocol for Charging Infrastructure, set up by the Indian government, has recommended adopting uniform standards for electric vehicle charging stations, as well as options for electronic payment such as via smartphone. A study by the Society of Manufacturers of Electric Vehicles (SMEV) shows Gujarat, Bengal, Uttar Pradesh, Rajasthan and Maharashtra as the top five states in EV sales. Citizen role Citizens will also have to play a consistent role in switching their driving, commuting and vehicle ownership attitudes. Unfortunately, as disposable income increases in emerging economies, there is also an aspirational rise in demand for self-driven vehicles rather than public transport. Today, 19 out of the 35 most polluted cities in the world are in India, according to BIS Research. More than half the pollution in densely-populated urban areas is vehicular. As of 2016, there were 229 million vehicles on Indian roads. Citizens will need to play a more vocal role in switching to electric vehicles or using more public transport. Startups The EV market is attracting a fair share of startups as well. For example, e-rickshaw company SmartE aims to get over 100, 000 e-rickshaws on the road by 2022. Founded by Goldie Srivastava in 2014, its initial target is last-mile connectivity for the public transport system in the Delhi-NCR region. Partners for the company include Goenka Electric Company and Kinetic Green, with vehicles priced at around Rs 1.5 lakh each. The company claims to move over 40, 000 commuters on a daily basis, and now has over 650 vehicles in operation. Charging models are centralised as well as de-centralised (swapping of batteries). Care has also been taken to ensure passenger safety via measures like avoiding over-crowding of vehicles. Targets for 2022 are three billion rides and 100, 000 jobs for vehicle operators. The company has already raised Series A funding of around $5million from a PE fund based out of Singapore. 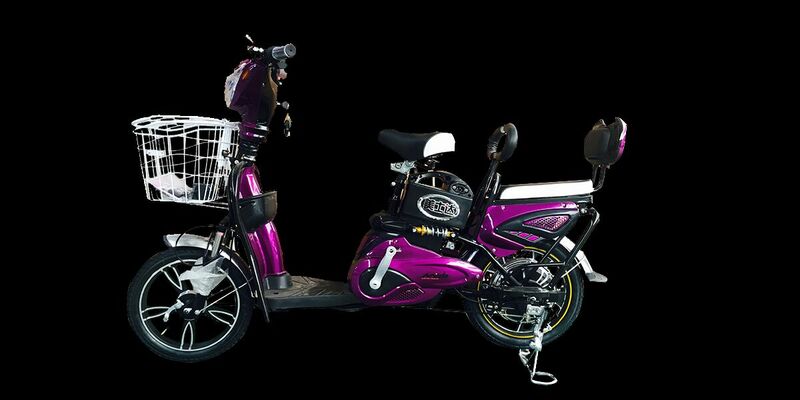 Hyderabad-based Gayam Motor Works manufactures electric three-wheelers and electric bicycles. 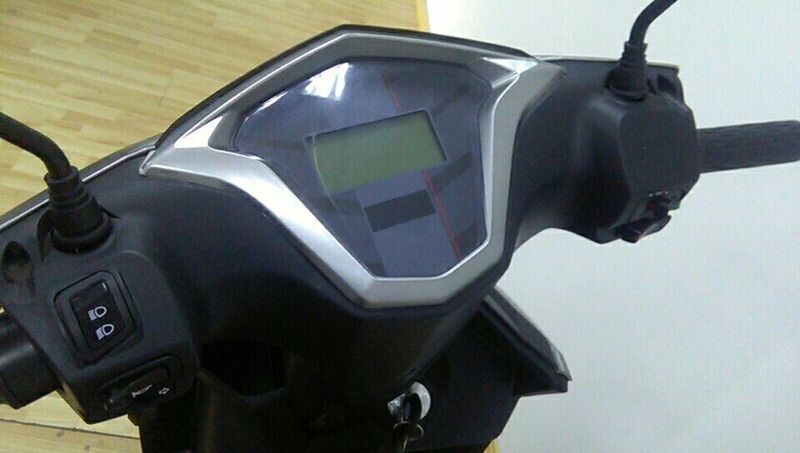 Its setup allows e-vehicle owners to swap drained batteries with fully charged ones to eliminate charge-time waiting. For an electric rickshaw, a single battery charge is estimated to run for 110-150 km. The level of battery power remaining is updated to a cloud application, which gives notifications along with the location for the nearest swapping station. The company’s clientele includes Uber in Singapore, Hong Kong, and the US, as well as BigBasket, Ekart, Swiggy, and the governments of Telangana and Andhra Pradesh in India. Instead of lead-acid battery technology, lithium-ion batteries are used. 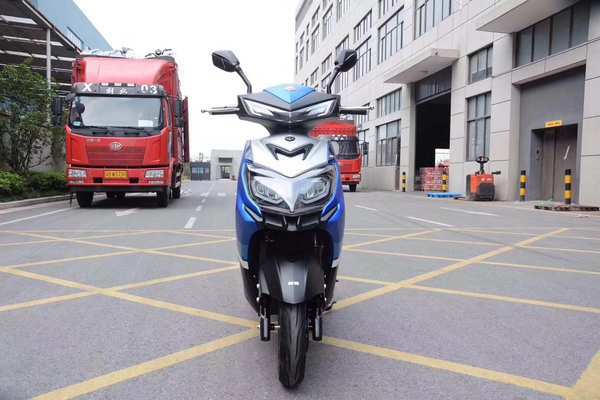 The company initially made vehicles for the Asian Development Bank-funded “E-trike project” for electric vehicles in the Philippines. 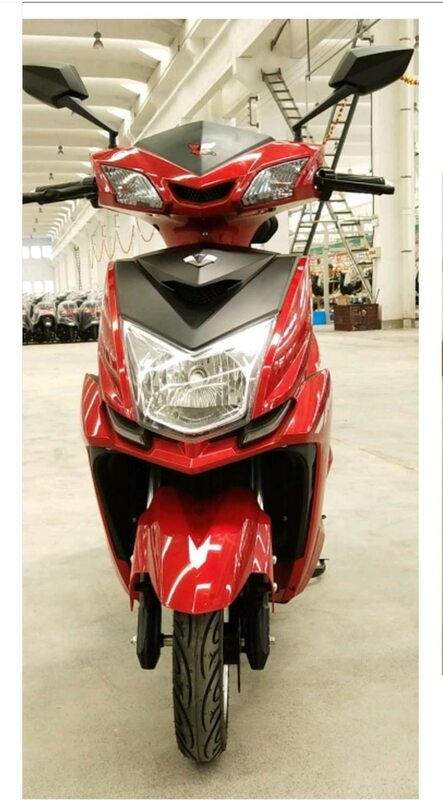 Gurgaon-based EV startup Twenty Two Motors has raised $1.6 million in pre-Series A funding from investors, including Haryana Industries. 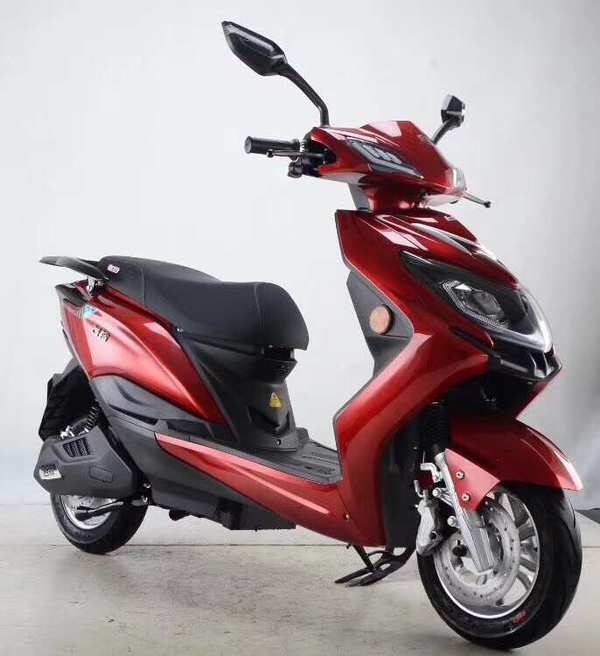 Its offerings include two-wheeler lithium-ion battery packs, battery management systems (BMS), and smart electronics. IoT, analytics and AI will be leveraged to determine users' ride behaviour. 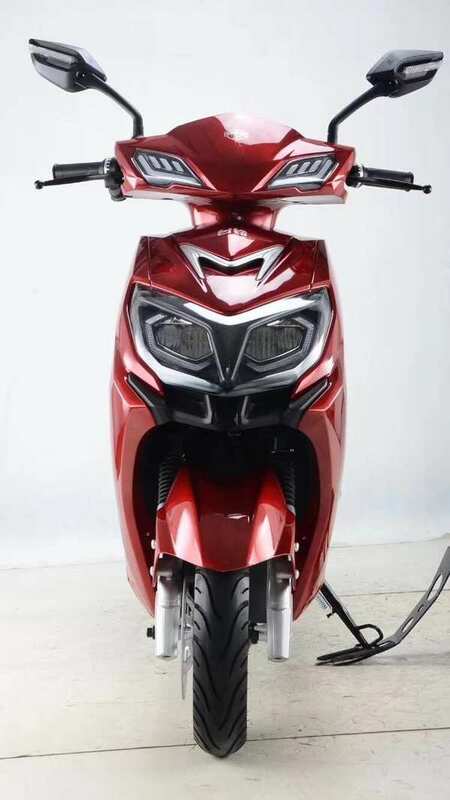 Other two-wheeler players in the Indian market include Mahindra E20 and GenZe, Hero RNT Diesel Hybrid Scooter, Hero Splendor iSmart, Hero Leap, TVS Qube, and Hyosung ST-E3 EVA. Reva founder Chetan Maini has now set up SunMobility, a startup which will set up EV infrastructure across India. The road ahead Though hurdles such as long charging times, short travel ranges, and heavy batteries remain, they are being addressed by a slew of innovators. New companies such as Rimac, Vanda, Nio, and Genovation have joined market leaders like Porsche, Aston Martin, and Tesla in creating the next generation of electric vehicles. The road ahead for electric vehicles is literally in the sky as well: many aeronautical companies are working on all-electric planes, and not just hybrid transitional models. Alliances have been formed between industry giants Airbus and Boeing and startups like Zunum Aero and Wright Electric. The innovative eRoadArlanda initiative in Sweden involves a stretch of road that recharges electric vehicles as they drive on it. Charging will be via an electrified rail mounted into the ground. Challenges arise in safety of electric charge and in costs of installation, as well as operations during conditions of fast-moving traffic. Emerging technologies like blockchain could also help to track the sourcing of rare minerals used to make EV components, and ensure that ethical sourcing is practiced. These include nickel and cobalt, some of which is mined in conflict areas. It will help countries benchmark their manufacturing and roll out initiatives with those of progressive regions such as Scandinavia and East Asia. Government and industry in these regions are forging stronger partnerships for domestic and international growth of electric vehicles. Cities to watch for electric-powered public transport are Shenzhen in China, where most of the 16, 000 vehicles are reportedly electric. For countries like India to match East Asia, it will need significant manufacturing prowess for key components, ranging from battery cells and semi-conductor modules to micro-processors and controllers. This extends from prototyping to large-scale low-cost manufacturing. However, opportunities also exist in design and IP, and not just in the OEM sector. The big shift to electric and modular design vehicles disrupt and democratise the entire automotive value chain from the bottom to the very top, according to Neeraj Kumar Singal, Director at Lightyear Infratech & Semco Group. Where an Internal Combustion (IC) Engine car has around 10, 000 moving parts, an average EV has around 20. In sum, with all the convoluted parts gone and availability of major components in the world market, new challenger startups will emerge on a larger scale, according to Singal. Many vehicle manufacturers could become simple assemblers of vehicles rather than complex engineering companies. WELCOME TO EV JUNCTION! 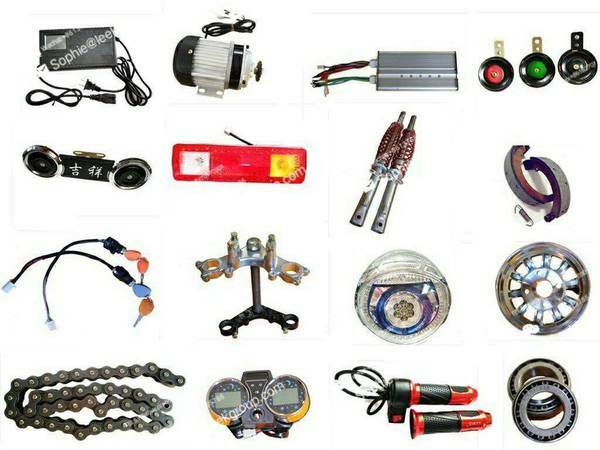 A Complete Range of E Rickshaw Spare Parts of QSD, CY Prime and Many More. Currently Available all E - rickshaw spear parts on wholesale price. We look forward to working with you. Contact for Business in pan India ! email : evjunction@gmail.com Mobile : +918448444856(IVR) OUR KOLKATA UNIT ADDRESS :- SANKRAIL INDUSTRIAL PARK, DHULAGARH, 2ND BIG ELECTRIC TOWER, NEAR NACHIKETA KANTA, HOWRAH, WEST BANGAL 711302 Contact SOMNATH @+917001710688. 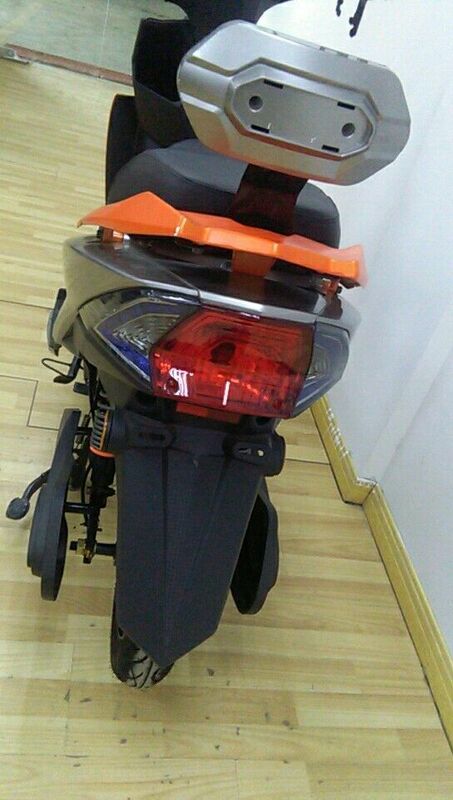 E Bike's Features Battery Voltage: 48V Wheel Size: 14"|16"/18" Frame Material: Iron Max Speed: 20-50km/h 48V 12ah Electric Bicycle Transport Package: Carton Wattage: 351-500W Battery Type: Storage Battery Motor: Brushless Folded: Unfolded Range per Power: 31-60 km Specification: 140*46*105 cm #The_Environmental_Benefits_of_e_cycle Electronic gadgets contain metals and other materials that can be saved with the help of e-cycle. Electronics contain heavy metals such as mercury and lead and may even contain radioactive substances. With e-cycle, these chemicals can be properly disposed of and prevented from contaminating the environment. Precious metals such as gold and silver can also be obtained from electronic devices. Recycling these metals will reduce the demand to open more polluting mines and reduce extraction costs. In fact, a ton of electronic devices that undergo e-cycle can yield more gold than 17 tons of ore. More common metals such as iron, copper and aluminium saved through e-cycle also use less energy than from extracting them directly from their ore. For example, recycling aluminium costs only 10% of the energy needed to extract it from bauxite. 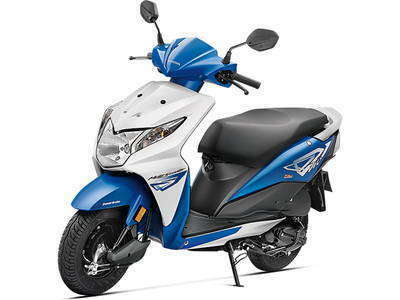 #The_Socio_economic_Benefits_of_e_cycle Both the economy and society benefit from e-cycle. Even the simple act of giving your old devices to charity may give a needy child the boost that he needs to become successful in life. The e-cycle industry also generates more jobs not only in recycling plants but also in e-waste clean-up projects. According to the estimates by the Environmental Protection Agency, the entire Recycling industry employs 1.1 million people with an annual payroll of around 37 billion dollars. When you get involved with e-cycle, you would add more people to the workforce and give them a better future as well. 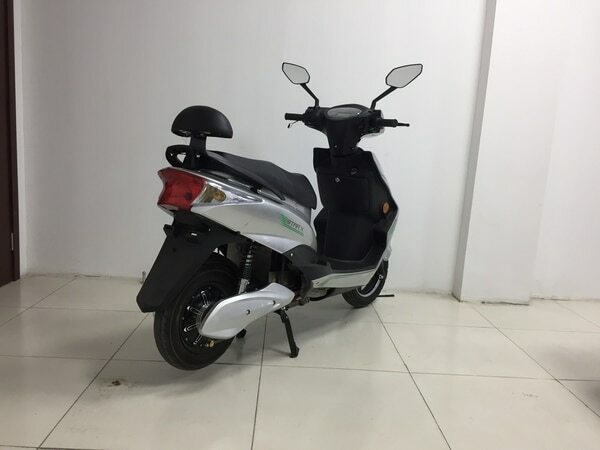 An electric bicycle, also known as an e-bike or booster bike, is a bicycle with an integrated electric motor which can be used for propulsion. 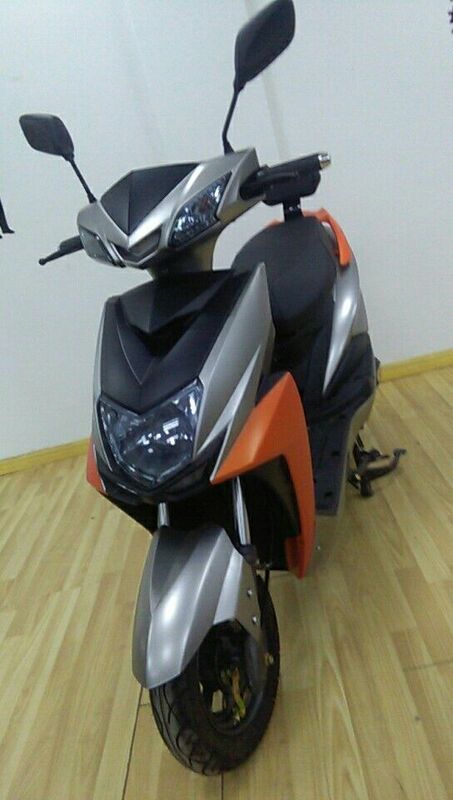 There are a great variety of e-bikes available worldwide, from e-bikes that only have a small motor to assist the rider's pedal-power to somewhat more powerful e-bikes which tend closer to moped-style functionality: all, however, retain the ability to be pedaled by the rider and are therefore not electric motorcycles. 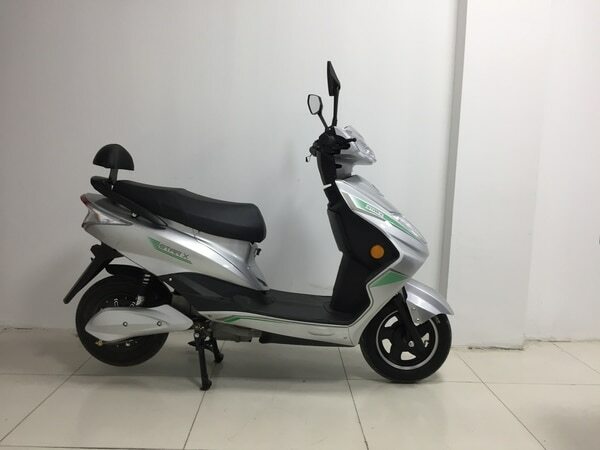 E-bikes use rechargeable batteries and the lighter varieties can travel up to 25 to 32 km/h (16 to 20 mph), depending on the laws of the country in which they are sold, while in others, such as China, they are replacing fossil fuel-powered mopeds and small motorcycles. 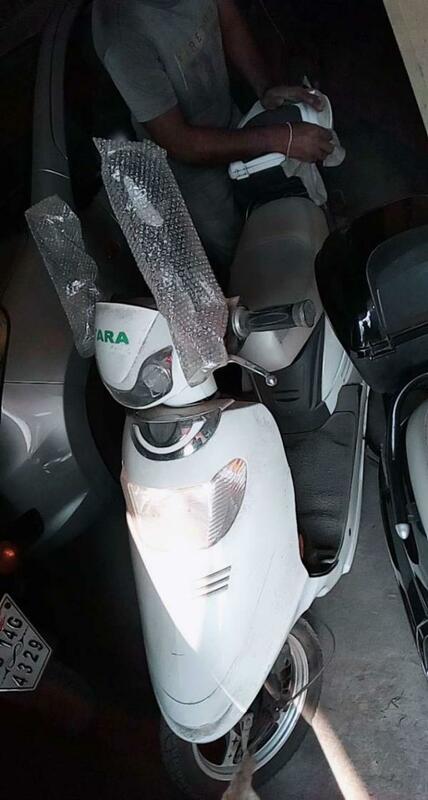 Depending on local laws, many e-bikes are legally classified as bicycles rather than mopeds or motorcycles, so they are not subject to the more stringent laws regarding their certification and operation, unlike the more powerful two-wheeler which are often classed as electric motorcycles. 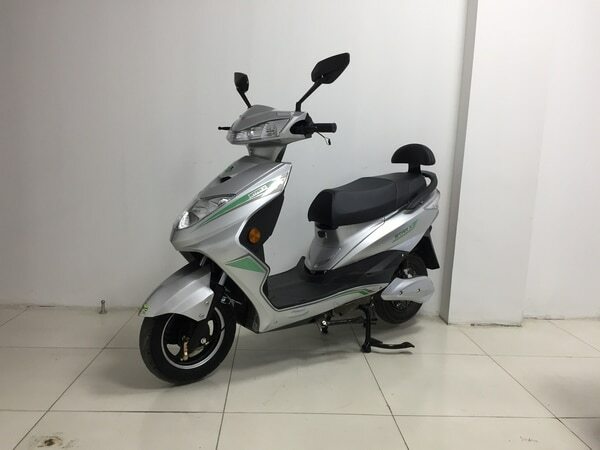 E-bikes can also be defined separately and treated as a specific vehicle type in many areas of legal jurisdiction. E-bikes are the electric motor-powered versions of motorized bicycles, which have been around since the late 19th century. *Chinese electric vehicle makers told to sort tide of waste batteries* Government has made manufacturers responsible for the collection and recycling of batteries amid mounting waste China will make manufacturers of electric vehicles responsible for setting up facilities to collect and recycle spent batteries as part of its efforts to tackle mounting waste in the sector, say new rules published on Monday. China, which began promoting electric cars in 2009, aims to become a dominant global producer as it bids to curb vehicle emissions, boost energy security and promote hi-tech industries. But with lithium battery production already up by half in 2017 and waste set to hit as much as 170, 000 tonnes this year, the government is racing to improve its recycling capabilities and stamp out what could become a growing source of pollution. China’s industry ministry issued “interim” rules on Monday that hold carmakers responsible for the recovery of new energy vehicle batteries and require them to set up recycling channels and service outlets where old batteries can be collected, stored and transferred to specialist recyclers. The carmakers must also establish a maintenance service network allowing members of the public to repair or exchange their old batteries conveniently, the ministry said. An electric car charging station at an apartment block in Beijing. 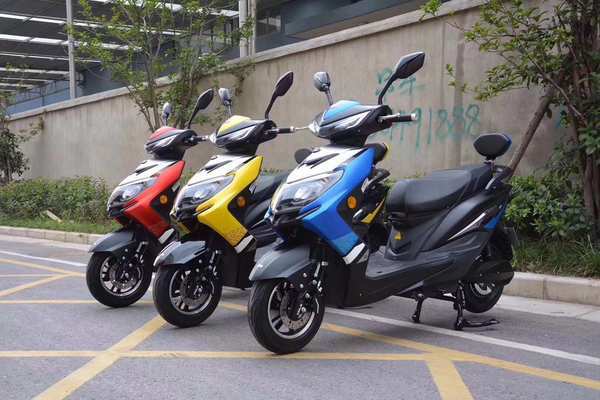 Photo: Xinhua Measures aimed at spurring good practice among consumers, including subsidies or battery repurchase pacts, should also be adopted, the notice said. Together with battery makers and their sales units, carmakers must also set up a “traceability” system enabling the identification of owners of discarded batteries. The battery makers are also encouraged to adopt standardised and easily dismantled product designs, to help automate the recycling process. They must also provide technical training for car makers to store and dismantle old batteries.